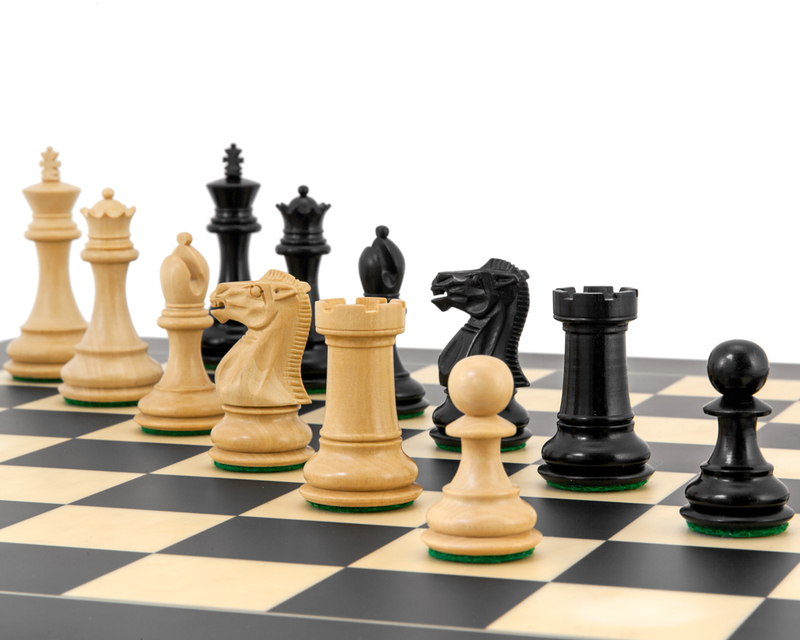 Pair up with a 20 inch (50 cm) board. 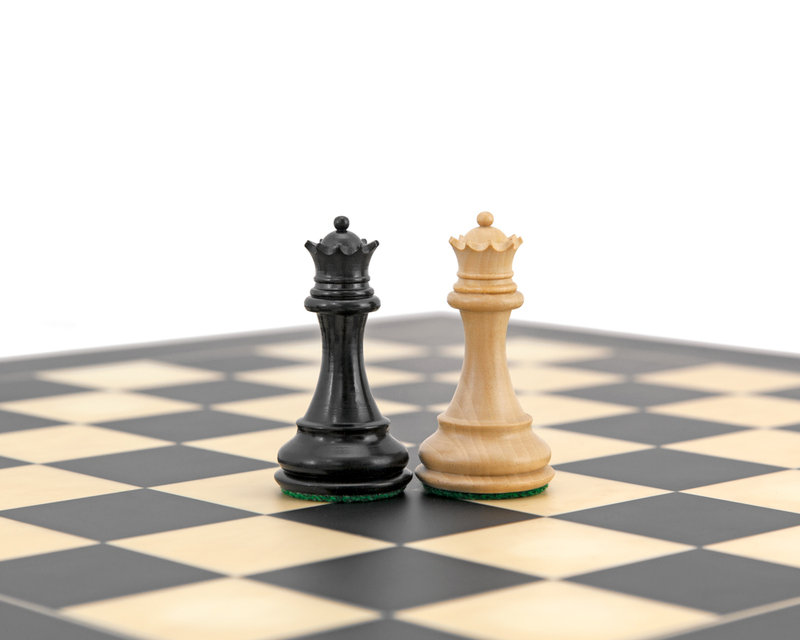 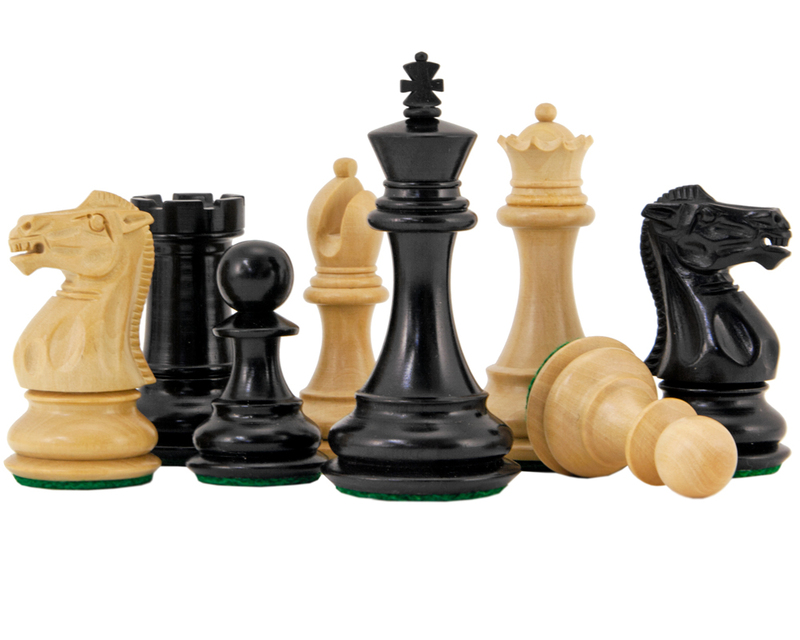 The Highclere Series Ebony Staunton Chess Pieces are highly detailed and superbly finished small chessmen. 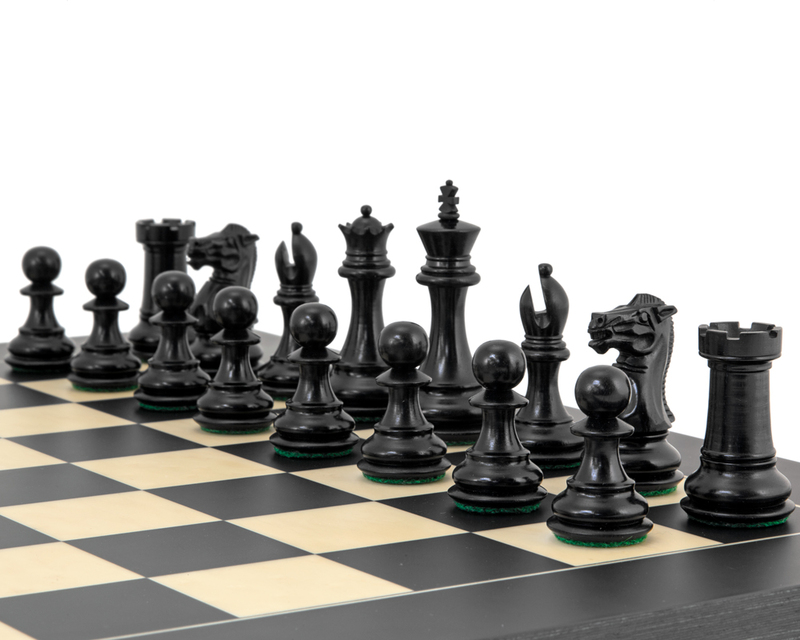 The design is classic Staunton, with a beautifully carved knight and bishop. 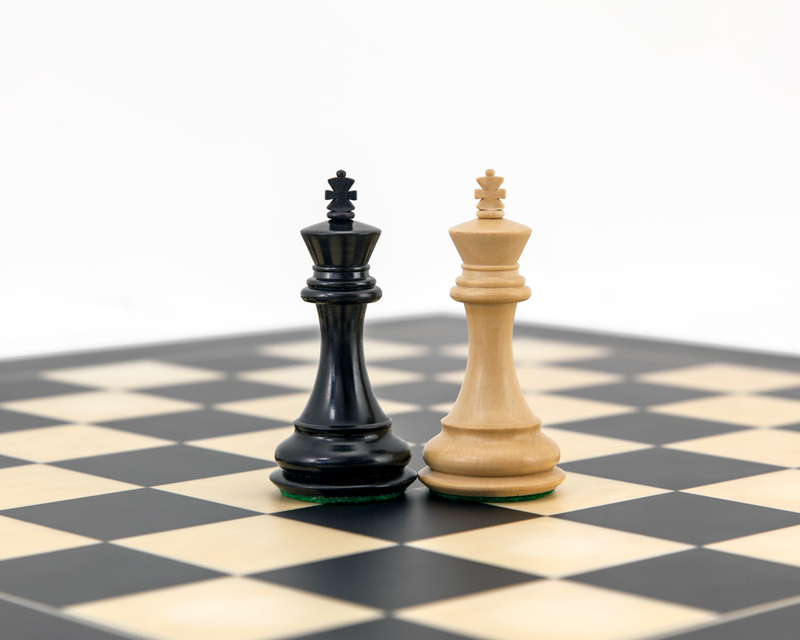 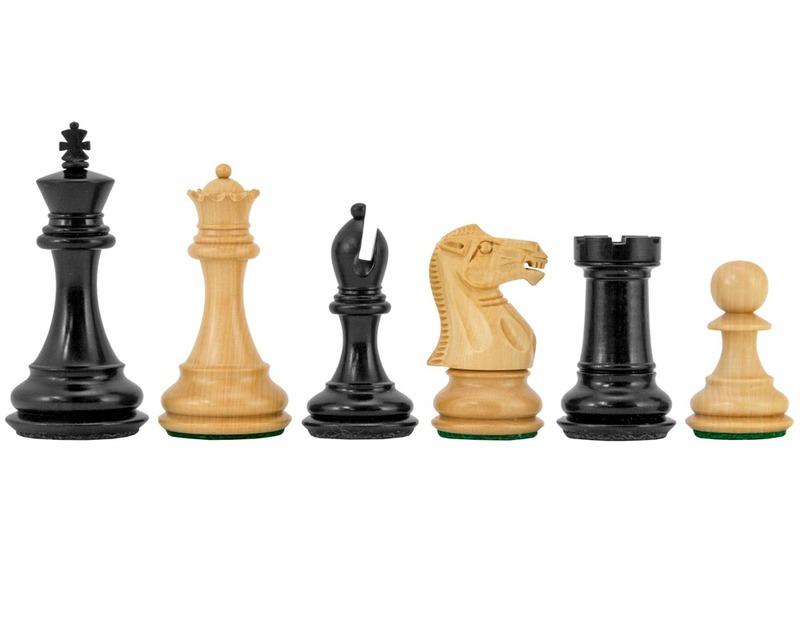 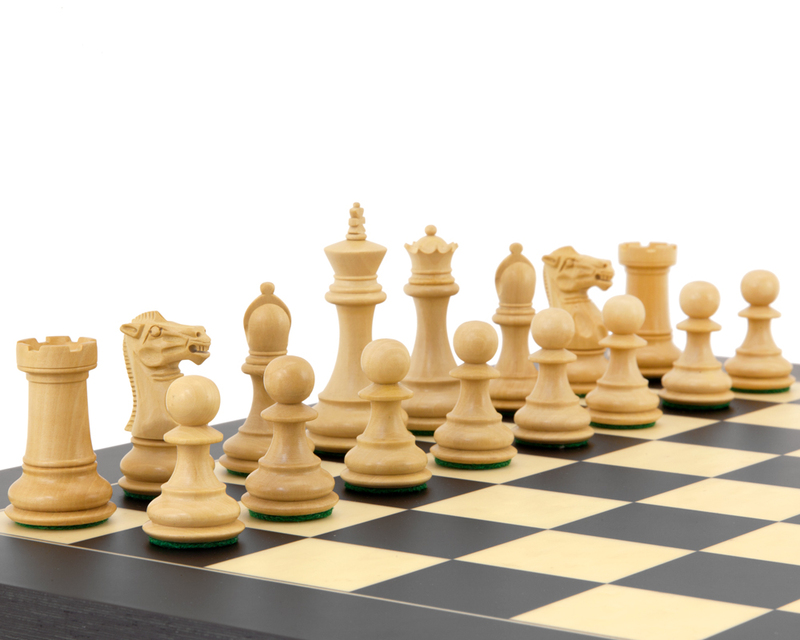 Supplied by the same chess workshop that produces some of the world's finest chessmen, with a 3 inch king and broad bases, these chessmen will sit perfectly on a 20 inch (50 cm)chess board.